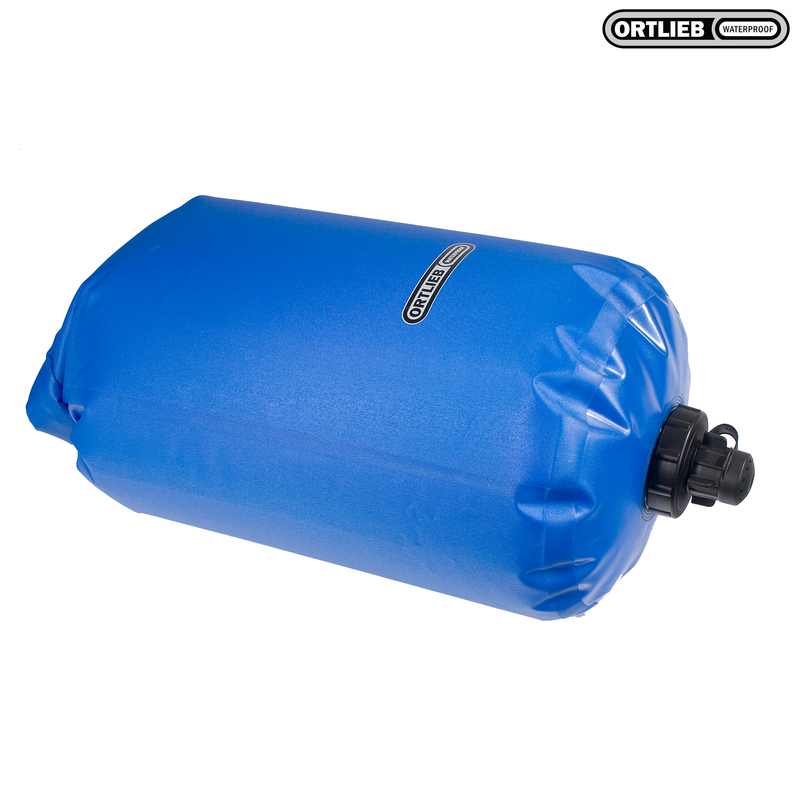 The construction of the Water Sack is identical to that of our dry bags with a roll closure. The welded ORTLIEB water valve in the base allows water to be released at a controlled rate. The large roll closure opening allows easy filling. The buckle straps can be used for hanging the Water Sack from a branch or hook, and the black version is especially well suited as solar shower. The Water Sack is made of tear-resistant waterproof fabric. Attention: The Water Sack is not suited for transport in horizontal position as it may leak. The roll closure allows no water to enter from outside, but water may leak from the inside to the outside. For transporting water inside a pannier or backpack, we recommend our Water Bag or Water Belt.